From collecting client information to sharing important legal documents, law firms face unique data management challenges. These days, firms are looking for IT solutions that offer greater efficiency, mobility, and flexibility. That’s why more and more are turning to cloud computing. Cloud desktops for law firms are designed to ease the technological burden so you can focus on running your practice and serving clients’ needs instead of wasting time on complicated IT problems. 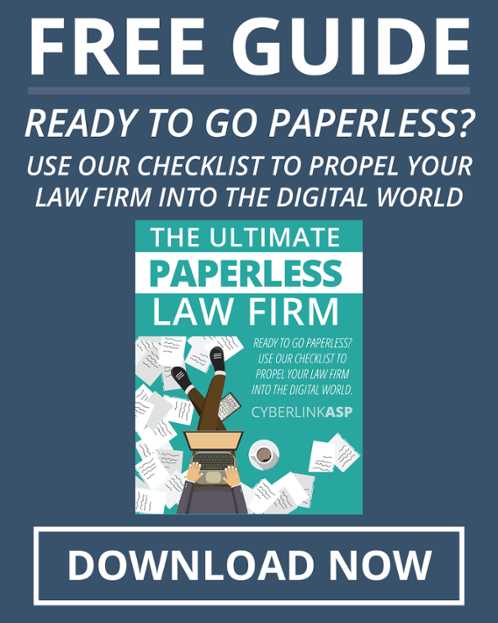 CyberlinkASP’s virtual desktops allow those in the legal profession to easily collect client details, make secure data transfers, share documents, and access critical information anytime, anywhere. Whether you’re working from the courthouse or from the car, as long as you have an Internet connection, you’re connected to the information you need whenever you need it. Our professionals have particular expertise in legal applications, as well as relationships with many ISVs that have been providing the legal industry with the necessary legacy applications that are all living securely in the cloud. By outsourcing IT to CyberlinkASP, which has the infrastructure and expertise to implement and manage critical applications, law firms can gain a competitive edge. 24/7 monitoring assures privacy and ends worries about information safety. Respond to client, court, and staff inquiries from anywhere at any time. End the “what if” worries knowing that we perform routine backups. If a catastrophic event occurs, rest easy knowing that we can restore everything for you. Very cost-effective solution that gives you priceless peace of mind. You need to be able to work remotely, with fast access to mission-critical data from wherever you are. Whether you are in the office, courthouse, home or on the road, you need secure access to your data and critical applications 24/7. Managed IT with virtualized solutions delivers that instantly. Increasingly, your team is working from a multitude of smart devices to get the job done, whether it is a personal device or a company-owned one. Securing sensitive case-related data and critical applications across multiple devices is nearly impossible through traditional desktop architectures. Today, desktop virtualization is required to enable flexibility regardless of what device they are logging in from. The legal industry is information- and data-intensive and that data needs to be properly secured. If a device is lost or stolen, for instance, that data instantly becomes vulnerable and critical cases will be compromised. Managed IT and desktop virtualization eliminates that risk.